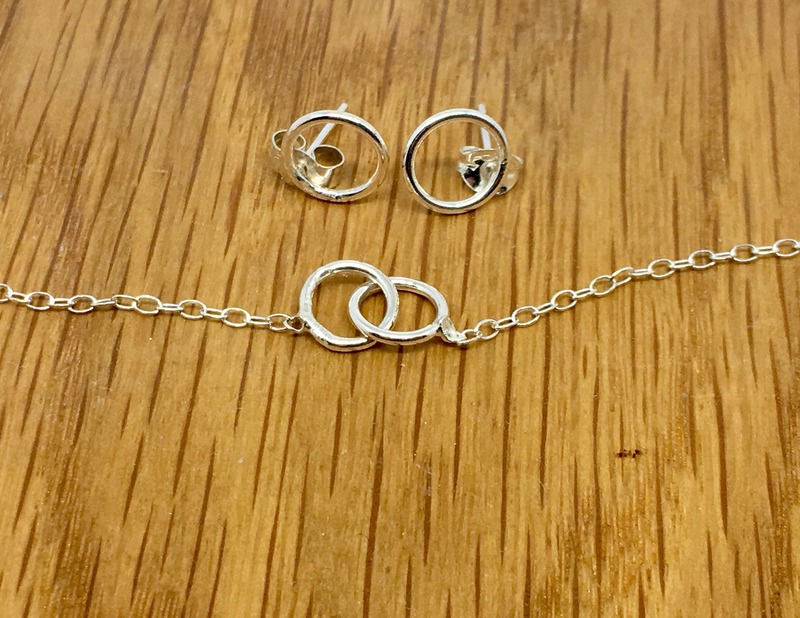 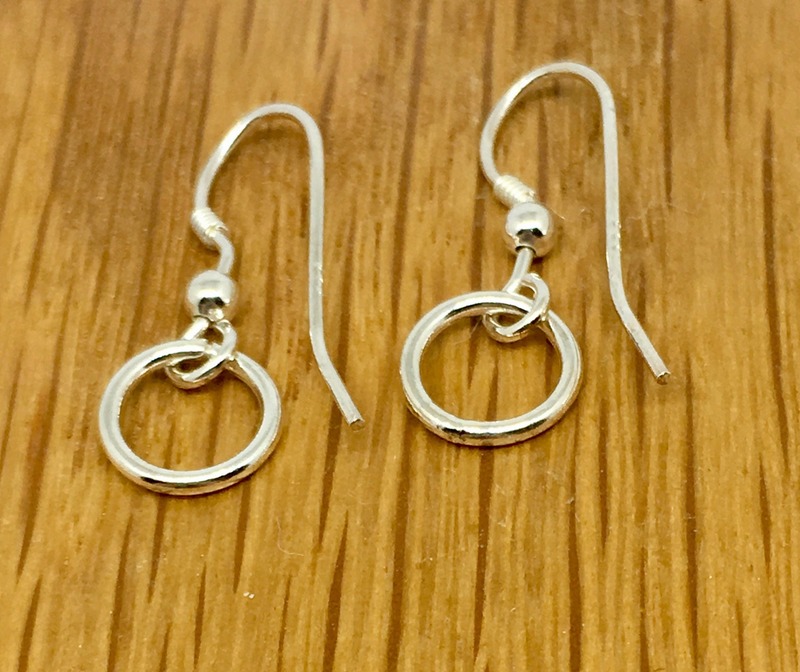 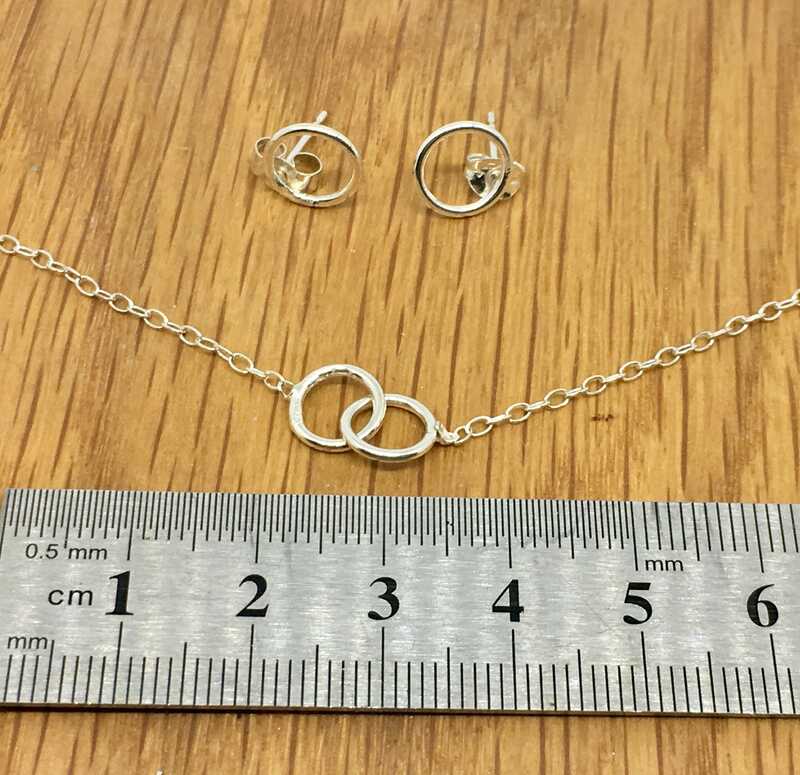 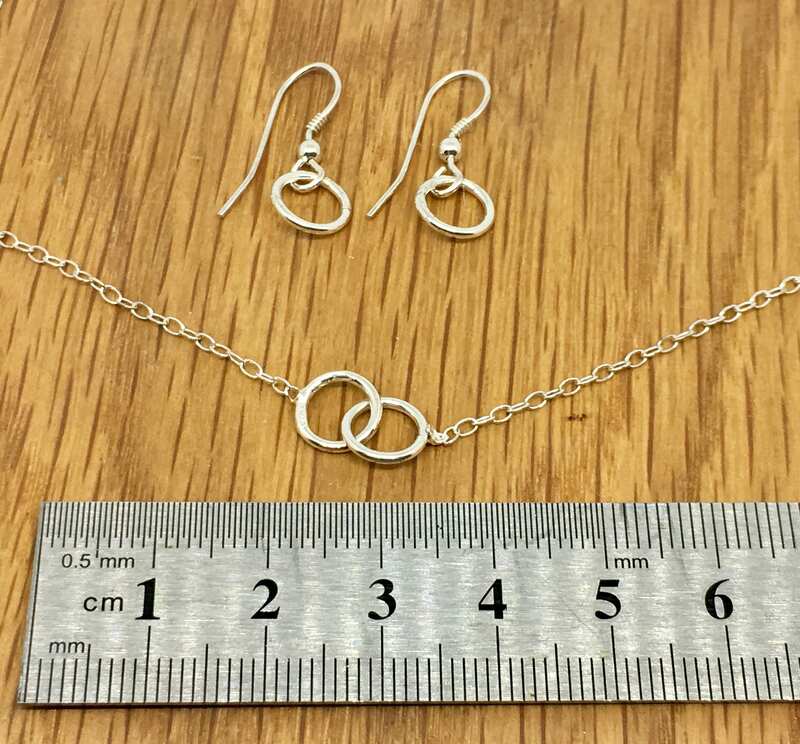 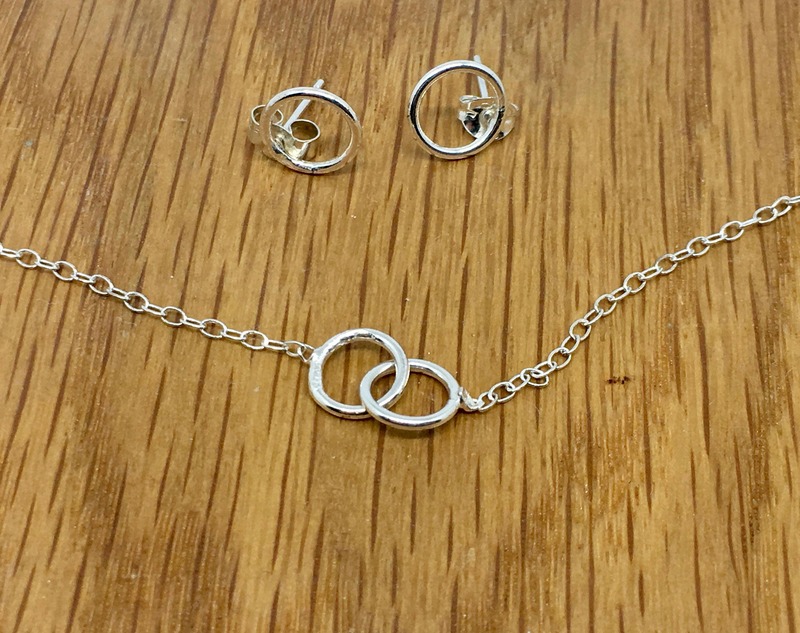 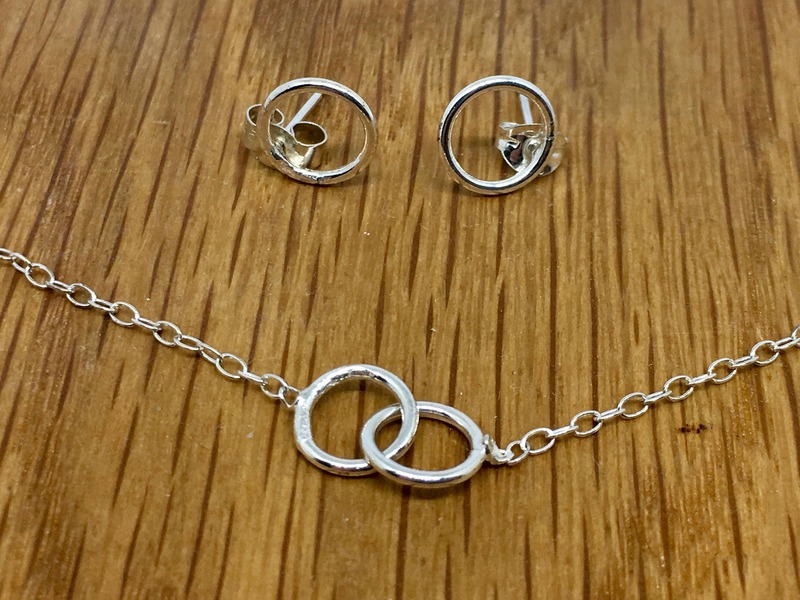 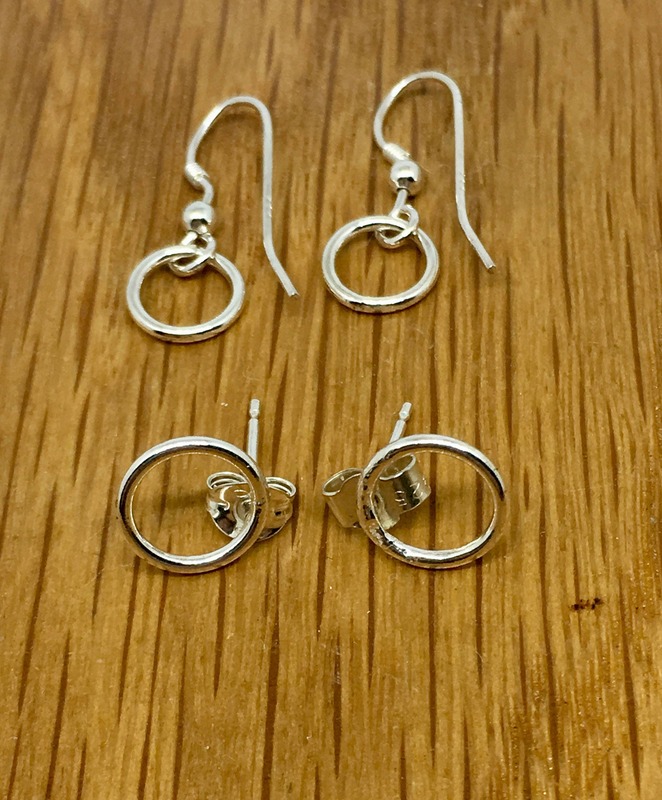 This is a pretty infinity jewellery set which includes a handmade, sterling silver infinity necklace made from two round 8mm sterling silver rings joined together and attached to a sterling silver trace necklace. 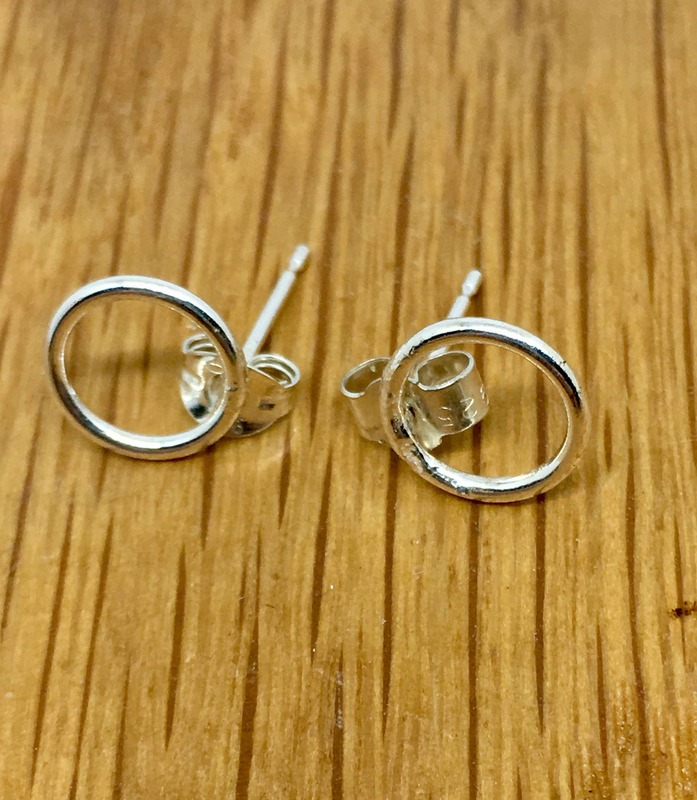 It is coupled with a pair of earrings and you have your choice of either drop earrings or studs. 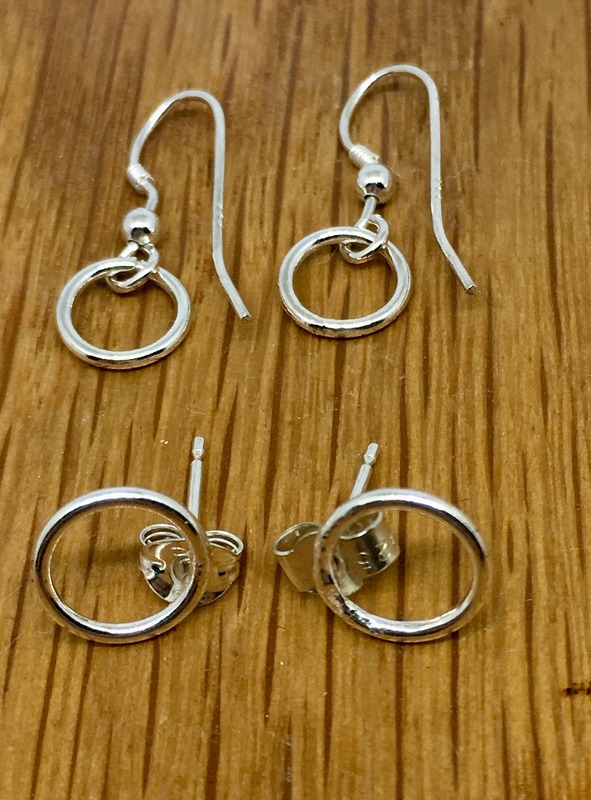 Please select your preference at check out. 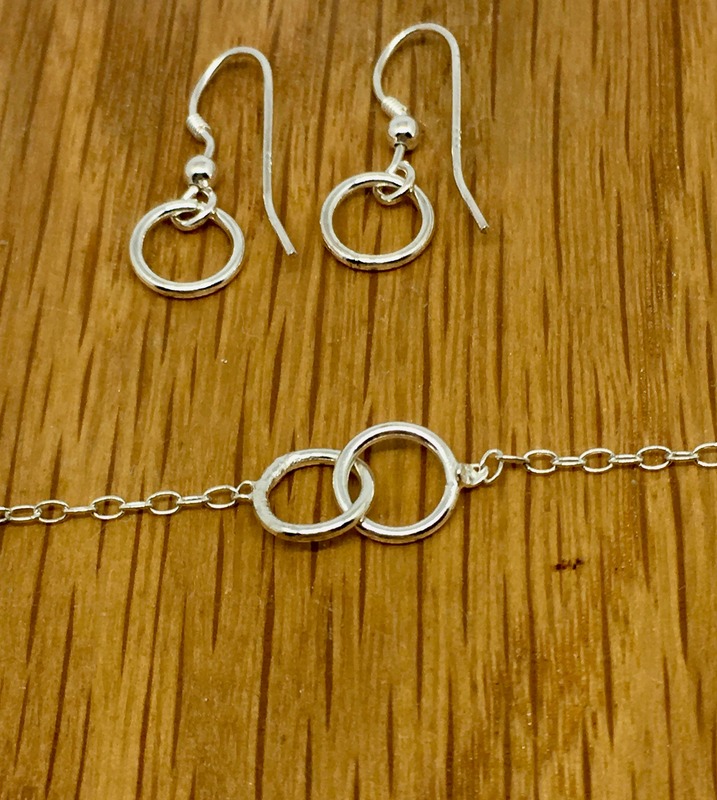 If you'd like to purchase the items individually then please contact me.